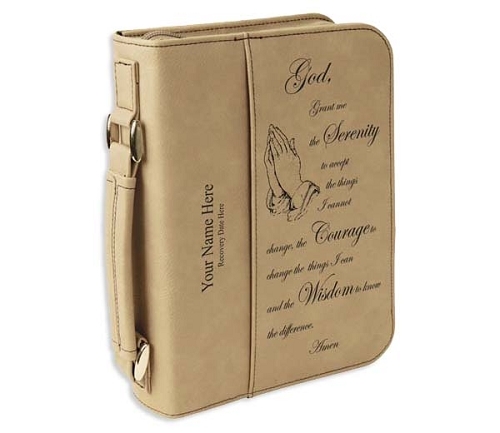 This beautiful leatherette book case is expertly laser engraved with two hands clasped in prayer and our beloved Serenity Prayer. Each book cover gets personalized with a name and recovery date at no additional charge! Dimensions: 6 3/4" x 9 1/4"
Nearly anything can be engraved on either side of these leatherette book covers! Please don't hesitate to Contact Us with you special requests!